Final weeks to sign up! 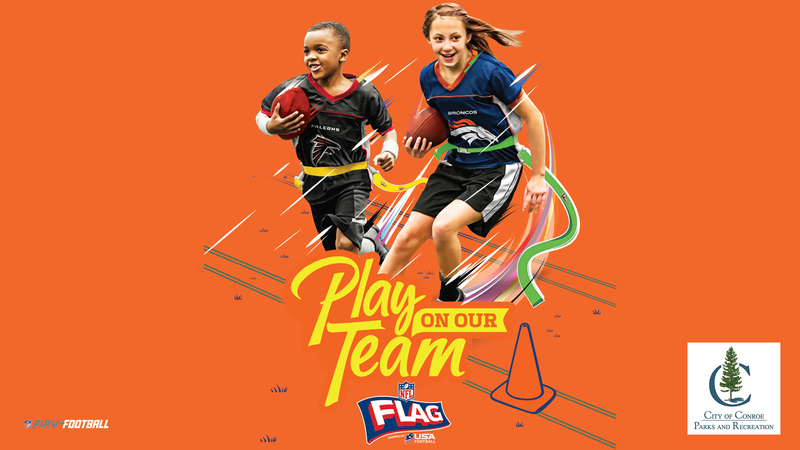 NFL Flag football program located in Conroe, Texas, hosted by the City of Conroe and RTE Sports. All games are played at McDade Park in Conroe. Games may be scheduled either on weeknights and/or Saturdays. The season starts on October 20th with our minicamp to kick the season off to a good start! Our league tournament will be on December 8. Each team from this league gets an automatic entry for the December 8th All City Flag Football Tournament!